Parking and panoramic ocean views from unit boasting a spacious room, queen ensemble, with quality linen, reverse air conditioning, side cupboards good lighting and en-suite. Wi-Fi and large flat screen TV, and tub chairs. Parking and outside balcony setting. 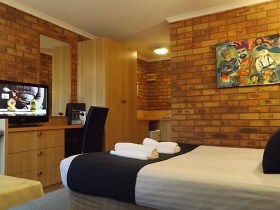 Spacious room with reverse air conditioning, queen ensemble quality linen, en-suite. Tub chairs and flat screen TV. Microwave and Beverage facilities. 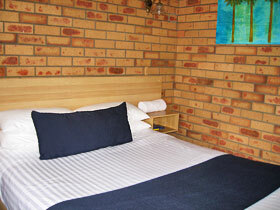 Quality ensemble bedding and linen, air conditioning and an En-suite. 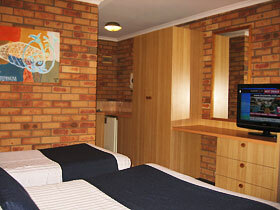 Microwave and beverage facilities, large flat screen TV. Queen + 2 Sigles ensembles, ensuite, select air, microwave, tea & coffee making facilities, non smoking, cutlery + crockery, large HD-LCD TV, table and chairs. Single ensembles, quality linen and reverse air conditioning. 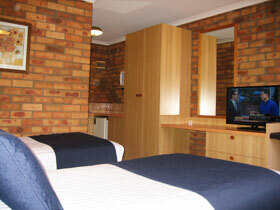 Supplied with total facilities, including a microwave, hairdryer. Large flat screen TV and relaxing tub chairs.